Britain on Monday will seek to reassure foreign investors worried about Britain leaving the EU after Japanese automaker Nissan said it was scrapping a major planned investment less than two months before Brexit. 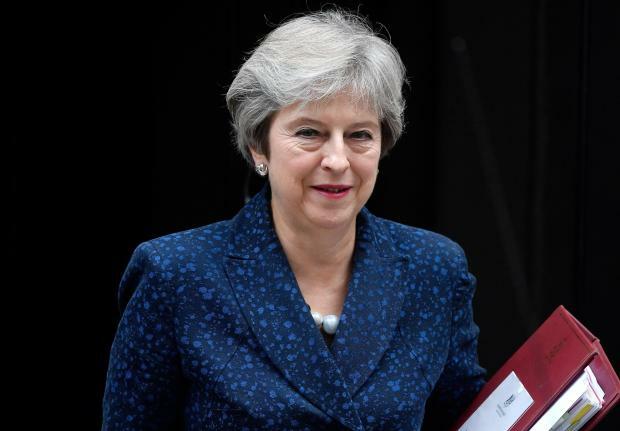 Prime Minister Theresa May was due to hold a conference call with around 55 chairmen and chief executives of European multinationals with operations in Britain. "She'll be stressing on that call the importance of the UK leaving the EU with a deal," her spokesman said. Nissan's decision not to build its new X-Trail vehicle at its factory in Sunderland in northeast England was "very disappointing," he said, adding however that the company had confirmed no jobs would be lost as a result. Business Secretary Greg Clark was also due to make a statement to parliament on Nissan as Brexit supporters and opponents fiercely debated whether the decision was motivated by Britain's impending withdrawal from the EU. Britain is on course to crash out of the bloc on March 29 after MPs last month voted massively against a divorce deal struck between May and EU leaders in December. Clark himself told the Financial Times that Nissan told him their decision was "a warning sign" of the damage that a no-deal Brexit could have on Britain's car sector. May is now seeking to renegotiate her deal, particularly its contentious "backstop" provision to keep the Irish border free-flowing, in a bid to secure parliament's support. EU leaders have so far refused, and German Chancellor Angela Merkel repeated this on Monday, saying the Brexit agreement had been painstakingly negotiated and reopening it "is not on the agenda". But speaking alongside Japanese Prime Minister Shinzo Abe in Tokyo, she said: "We want to do everything to avoid a no-deal, because that would increase the uncertainty." Merkel said questions about the backstop could be discussed in the so-called political agreement that accompanies the Brexit deal, adding: "We need to show creativity, we need to listen to each other. "We can still use the time to come to an agreement over the things that are standing in our way, if everyone shows goodwill." The MPs were set to meet later on Monday and again on Tuesday and Wednesday. May wrote in the Sunday Telegraph that she intends to return to Brussels where she will be "battling for Britain and Northern Ireland" to change the deal. "If we stand together and speak with one voice, I believe we can find the right way forward," she wrote. Meanwhile Brexit figurehead Boris Johnson, Britain's former foreign secretary, warned that rumours of an imminent election could be a government "scare tactic" aimed at getting Conservative MPs to support a Brexit deal. Writing in the Daily Telegraph, he said that "if Tory MPs were asked to go into electoral battle in the next few months, there would be a hole in the heart of our manifesto". "I have no idea what we would say about the EU - because after two-and-a-half years of dither the truly astonishing feature of the UK position is that the big questions have still not been answered," he wrote.